According to the Chinese fengshui, Cape Town is the most relaxing place in the world, as the configuration of the city itself looks like an armchair: the back is the Table Mountain, the armrests are the devil’s peak and the Lions head and the city is the comfortable seat, facing the ocean. Imagine to seat down seafront, enjoying a drink while watching the waves.... isn’t it a cool picture? Cape Town is one of the favorite destinations for Hollywood stars. 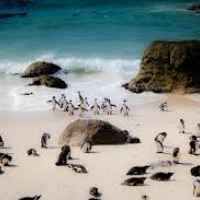 You can easily see them while walking on the white sand of Camps bay beach, enjoying the local South Africans wines or the delicious food in the fancy restaurants. The surroundings areas are also very interesting and the activities available in this beautiful South African city are many. From wine tasting tours, safaris, shark diving, kite or wind surfing, trip to Cape of Good Hope, jazz festivals, sunset concerts and much more. 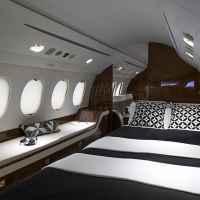 Arriving in Cape Town on board of a luxury private jet will make the travel experience even more enjoyable: from Europe, the average flight time is around 10 or 11 hours, why don’t you get a good sleep on a cozy bed with cashmere blanket while overflying Africa? A crunchy breakfast and a foamy cappuccino will wake you up shortly before landing. A private jet all at your disposal, taking off at YOUR most convenient time. Then, a limousine chauffeur will take you to your luxury hotel or your yacht in just 15 mins from the airport.